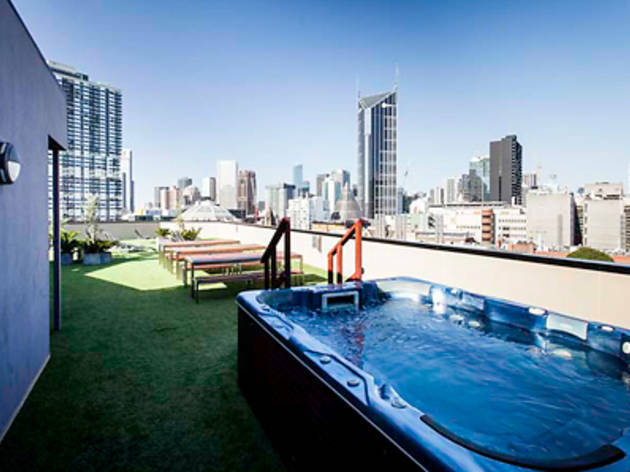 From eight-bed dorms, to suites overlooking Melbourne, the Space Hotel offers budget accommodation in the heart of the city. Booking one of the space-age inspired rooms also give you access to the hotel's cinema, spa, gym and and rooftop lounge. 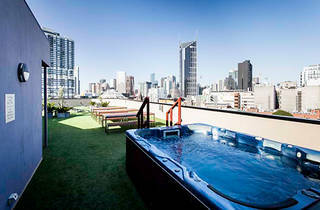 Doubles from $67/night.